Mother of God! Look at this right meow. Forget the Spurbury Police Department, the Vermont State troopers depicted in the outrageous 2001 comedy “Super Troopers” and its 2018 sequel have some new competition. And they’re known as the Michigan State Police. 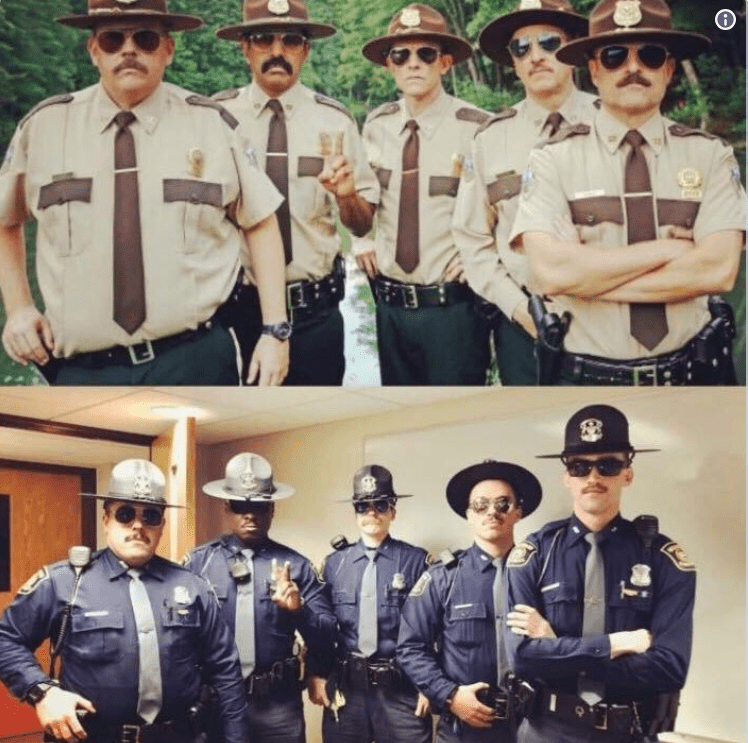 “Who wore it better,” a Tweet from the official Michigan State Police account reads. It also includes a photo of five MSP troopers in the exact pose of the actors.